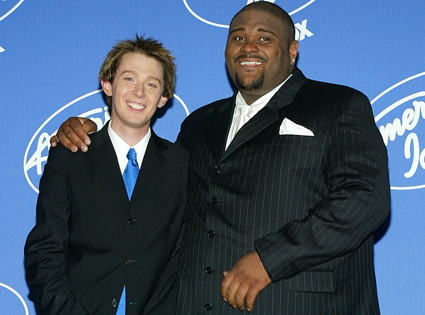 RALEIGH — In a stunning change of events, Clay Aiken did not win the 2014 Congressional election in the 2nd Congressional District of North Carolina. This heavily favored, talented young man was defeated by a last minute surge by underdog Ruben Studdard. Reactions from pundits across the country have been very mixed. Analyst Randall Jackson, one of the country’s most prominent political minds, reacted to Aiken’s failure. “Look, that was hot, dawg! Little pitchy, but you were on it tonight! Off the hook!” Jackson’s reaction was met with cheers by the studio audience of his show. Other analysts, such as cynical pundit Simon Cowell, weren’t as thrilled with Aiken’s campaign. Cowell’s reaction included the words “horrendous,” “miserable,” and “like watching a funeral for a baby.” This was met with much shouting and booing. A third analyst, Paula Abdul, reacted with some indecipherable rambling, an enthusiastic shout, and some drunken dancing in her seat. Aiken, the long-favored candidate, pounded the competition week after week with top-notch speeches, rallies, and appearances. His opponent was less consistent, having a small number of impressive performances but many that were met with mediocre reviews. Aiken says he will be leaving politics to pursue a career in musical theatre, while Studdard plans to be as inactive and sweaty as possible while continuing to gain more weight.